Fintech startup Revolut has launched a metal card that allows its users withdraw up to £600 (€670) per month in free international ATM withdrawals. The new card from the digital banking alternative gives 1pc cashback on all transactions made outside of Europe, 0.1pc on those made within Europe. Revolut Metal customers will be able to receive the cashback in any of the bank’s 25 supported fiat currencies or five cryptocurrencies, including Bitcoin. The digital banking alternative currently serves more than 100,000 customers in Ireland, with 40pc using Revolut as their primary spending card at home and abroad. Earlier this year, the firm raised $250m (€205m) in funding, increasing its value five-fold to $1.7bn in less than a year. Hong Kong-based DST Global led the new Series C funding round, bringing the total amount raised by Revolut to $340m since its launch three years ago. Among the investors is Dublin-listed Draper Esprit, which announced an investment of up to $16.5m (€13.5m) in the company. Darren Deal, Vice President, Prepaid Cards at Mastercard UK and Ireland said that the partnership on the statement card is an exciting development. “From its unique look and feel, to its impressive range of cardholder benefits, combined with Mastercard’s trusted global acceptance it becomes a compelling offer to all regular overseas travellers,” he said. Some of the benefits of using the card, according to Revolut, include a dedicated concierge service for booking items such as flights and festival tickets. Unlimited foreign exchange, free international money transfers, and overseas travel insurance are other perks available. 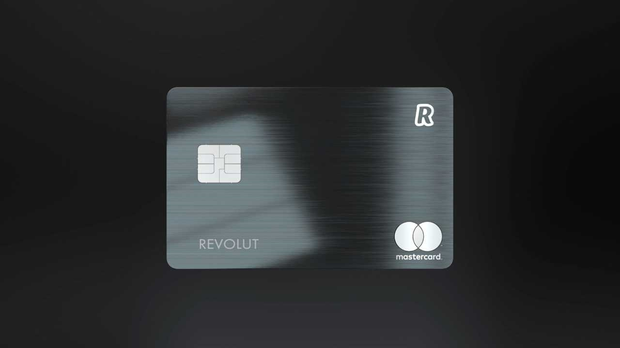 Founder & CEO of Revolut, Nik Storonsky, said the contactless metal card, which is three times the weight of a regular card, is “an absolute must for travellers worldwide”. “While the plan already comes with a bunch of new features, there is so much more to come, including commission-free trading and airport lounges,” he said. He said the new card is an important step towards generating additional revenue, as the company prepares to launch a commission-free trading platform and expand the business into North America and Asia later this year.